The portrait bust carved in marble had been a feature of classical art and was revived during the Renaissance. Similar busts were frequently reproduced in bronze, with minor changes, as the officially approved sculptural image of the King. Portrait busts were unusual in early 17th-century England and were commissioned mainly by those in court circles. Hubert Le Sueur was the son of a master armourer in Paris, where he became established as a court artist. 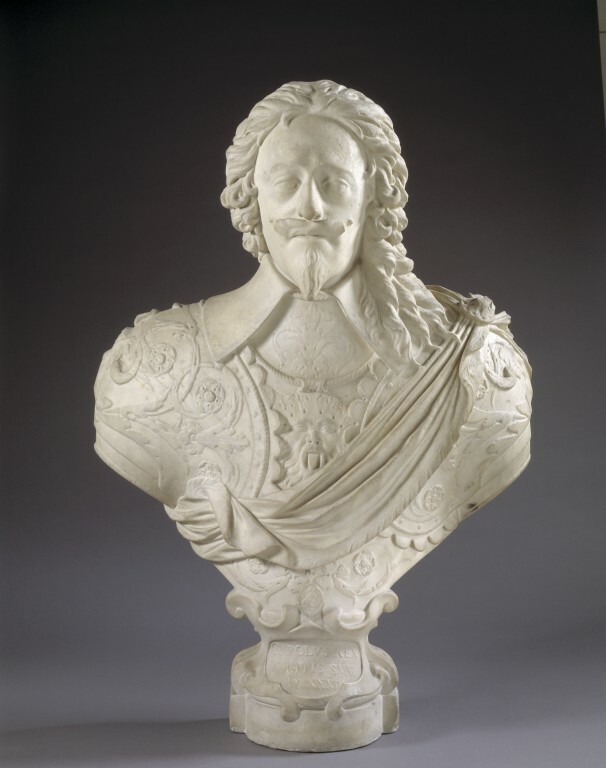 He was appointed as one of the sculptors to Louis XIII in January 1614. In 1625 he was sent to England to work at the court of Charles I, shortly after the King's marriage to Louis' sister, Henrietta Maria. The use of marble is unique for Le Sueur's portrait busts, as he specialised primarily in bronze. His impressive equestrian bronze portrait of Charles I now in Trafalgar Square is signed and dated 1633. 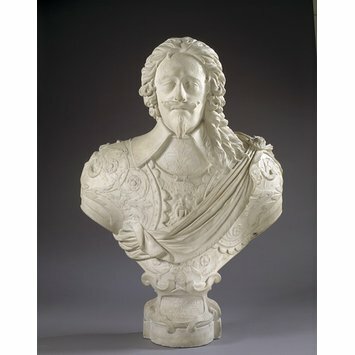 The bust is dated 1631, the first year that Le Sueur was recorded in the King's employ, when he also spent four months in Rome taking casts of ancient sculpture. The sculpture is the earliest datable bust of the monarch by the artist and marks an increasing interest in sculptural portraits in England during the 1630s and 40s. This life-size bust, is tapering down to an elaborate base with scroll-work. The king wears a falling collar over richly embossed armour with a lion mask on the breast and a grotesque female figure on each shoulder. He has a military scarf and the Lesser George of the Garter, and his long hair falls over his left shoulder. Inscibed on the base. Inscribed at the base in raised letters. Probably made for Charles I; other bronze versions are known. Carved in London by Hubert Le Sueur (born in Paris, about 1590, died there after 1658). Stated at the time of purchase to have come from The Hague, and stated to have been formerly in the royal palace Huis ten Bosch. Purchased from Durlacher Bros., 42 New Bond Street in 1910.